A perfect fit for the new Deering Goodtime Banjo Ukulele. 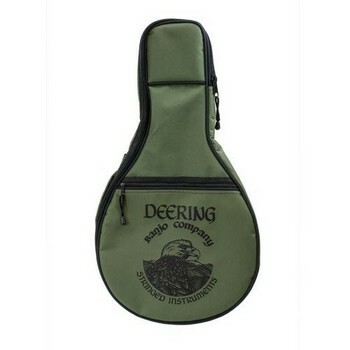 This beautiful green gig bag is well made with sturdy padding to cushion the banjo uke in travel. A shoulder strap and a handle make carrying your banjo ukulele (or banjolele) easy.